Science meets supernatural in an excruciatingly sad attempt at comedy. Fardeen Khan meets Uday Chopra to make Jacky Bhagnani, the 'dude'. Need I say more? And Riteish Deshmukh is a comic relief!?! The strike seems to have hit some story writers in their head! Being a student of science is supposedly something extraordinary in the world of Bhagnanis. That is why they spend a significant part of the first hour in telling us how their lead hero is unique because Physics interests him. But actually what makes him irreplacable is that he knows how to sweep a woman of her feet, fight 5 "machos", have muscles that are worth showing off, move his feet to put the Hrithik Roshans of the day to shame...if you think I'm exaggerating, blame the writers of the film! If, so far, you haven't been reminded of the superhero of the 90s, take this. This story supposedly has comedy, drama, suspense, melodrama, romance, revenge, more drama, and I'm sure I'm missing a genre or two. And yet not one bit is entertaining. Each element looked like a part of a scene was first visualized and then the scenario was built around it with no connections to the scenarios before or after. Be it the fight sequences or the romantic ones. So, we have Jacky Bhagnani - an Uday Chopra look-alike who cringes his nose and expresses sadness with a blank face like Fardeen Khan. Giving credit where it's due, he can't do it as annoyingly as Fardeen. 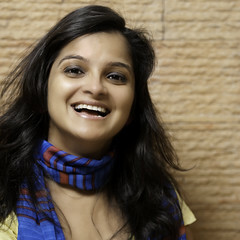 Then there's Vaishali Desai who is annoying because she's arrogant - for what, I haven't a clue. The worst-worst hit is seeing Riteish Deshmukh play comic relief and he doesn't get more than a laugh. That hurts, it really does. That Archana Puran Singh is a little less irritating than usual is hardly any consolation. Neither the hero nor the villain and none in between have interesting characters. The hero is of course the hero - ever-so-nice 24x7 with one and all, including people who insult him for no rhyme or reason. The villain doesn't inspire us to even raise a finger at him, let alone hate him. His motivations are unknown and we aren't motivated to find out either. Like most films of this nature, the songs come and go like guests as if the film was a cheap motel. No rhythm, nor need. The lyrics a tad better than one would expect in a set-up like this. The theater usher asked a girl who had just watched the film, "how did you like the film?" Her answer says it all. "Sad..."
And you thought there was no tragedy in the film. Not Interested in Watching, by TimELiebe : No. Just - Don't Bother, Seriously. It's That Bad…. Nay! Thumbs Down, by TimELiebe : What is this? Make it stoppppp...? Violence: A few fist fights and action sequences. Concept: Using super-natural powers to do good for humanity. OMG, Meetu! I'm beginning to appreciate the genius of Salman Khan compared to this! My wife and the kids of our friends really wanted to watch this - help me! TimELiebe has given this movie a Nay! Thumbs Down(What is this? Make it stoppppp...?). TimELiebe has posted 1 comments and has rated 1 movies. See TimELiebe's page for more details. OMG, Meetu! What was that thing we just watched, anyway? Tammy, my kid brother, and the son and daughter-in-law of our friends said "Let's watch this!" - and we stuck through the entire thing, even if we were all howling at the movie's view of "SCIENCE!" I think insanity must have set in by the end - this movie was truly idiotic and laughably bad, with songs that sounded like every other Bollywood song I'd ever heard and dance numbers that looked like they involved a lot of jumping like on a pogo sticks and backflips! But for the last half-hour, the action-packed stupidity of it all seemed strangely comic, and even those of us who begged to turn it off were laughing it at…. TimELiebe has given this movie a Not Interested in Watching(No. Just - Don't Bother, Seriously. It's That Bad….). TimELiebe has posted 430 comments and has rated 175 movies. See TimELiebe's page for more details. @TimELiebe Some day, you will start taking wogma ratings into account. Till then, happy *headdesk*ing ha ha ha ha...sorry, was irresistible. Some day, you will start taking wogma ratings into account. Till then, happy *headdesk*ing ha ha ha ha...sorry, was irresistible. KAILASHEY KELENKARI - which we all enjoyed. We also tried watching JOI BABA FELUNATH - but the DVD was so far out of sync we gave up in disgust about 15 minutes in. ah you mean "Feluda"? Actually, I haven't seen any. "Feluda", yes - sorry, Meetu.